Turnover Adaptor Trent 900 HPC Design. The turnover frame adaptor has been manufactured from nylon which allows the use of existing handling equipment rather than having to purchase new bespoke equipment. Along with the nylon locator there are 2 off 5mm laser cut mild steel plates bolted on either side of the nylon adapter. As a result of the adapter design, the interchangeable tooling has reduced continual tooling costs and has also benefited the company by increasing the available space on site. 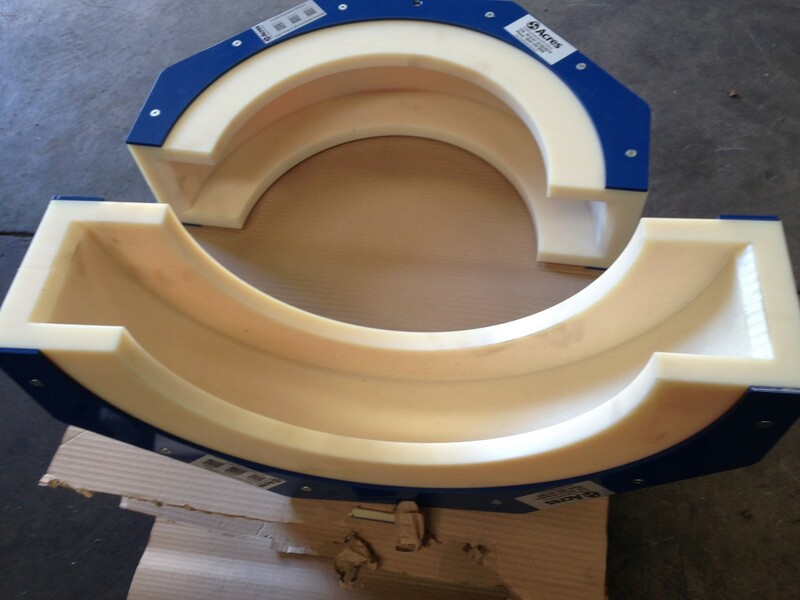 The adapter has been load tested to 250 kg safe working load. The nylon has a self colour natural finish and the steel has been powder coat finished in BS 4800 20-D-45 Blue.